You may not be a person with artistic-digital concerns and you do not get along very well with the technology, but probably not even being this way you have freed yourself sometimes to see you need to use any drawing application. Either to make a small touch to an image or to make a quick sketch with which to show an idea that you have in mind. Using a program like Photoshop for such simple tasks would be like killing a fly with a cannon, especially if you belong to that group of people who do not want to complicate learning a program to use it for only 5 minutes. 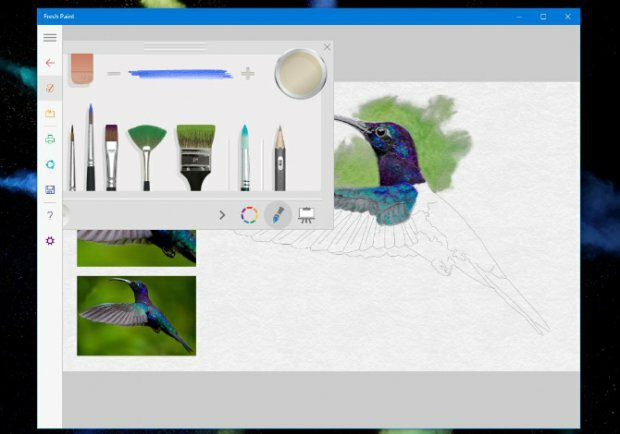 In this article, we will gather the best applications to make simple drawings on your PC or tablet with Windows. All these applications usually have an easy to understand interface in common, so anyone can do whatever they need with them. Do not think that Paint 3D is an exclusive application to do things in 3 dimensions, still have all the features that the original Paint already offered but simply have added the 3D as an extra to make it the complete program. If you want to be a little more creative and original with your drawings, this alternative offered by Microsoft to draw, you will love. 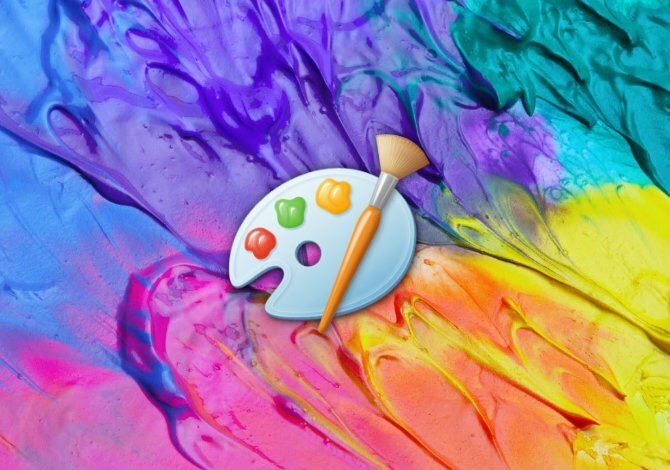 This is Fresh Paint, an application that is more oriented to artistic drawing imitating the experience of drawing on a canvas with watercolors, pencil, pen and other tools. Perhaps this is not an ideal application for people who do not have certain prior knowledge of paint, since unlike Paint or Paint 3D, here we will have to know what brush to use or how to mix colors. Although if you want to get a more artistic style for your drawings, it will undoubtedly be the ideal application. You may have heard of GIMP ( GNU Image Manipulation Program ) as a program with which you could do the same as Photoshop but for free. This is a very versatile software because thanks to the customization options and the plugins we can from manipulating photographs to make advanced corrections to make artistic drawings, vector and much more. With GIMP the possibilities are endless. Do not worry, let’s do a lot of things, it can also be used for basic things like Paint. Its advantage is that if you want to go a little further or you need to do something that a program as simple as Paint can not, with GIMP you can do it. As it is a program with so many possibilities and also free, you will have no problem in finding online tutorials to do what you want. 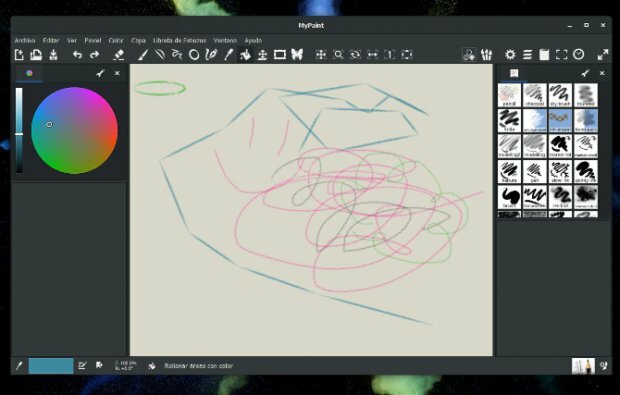 Among the functions that we can find in GIMP is a wide collection of drawing tools like brushes of all kinds, possibility to make color gradients or have an infinite canvas, only limited by the amount of memory available to your computer. The bad thing about GIMP is that its interface can be a little shocking at first because it offers many options, but it is quite intuitive. 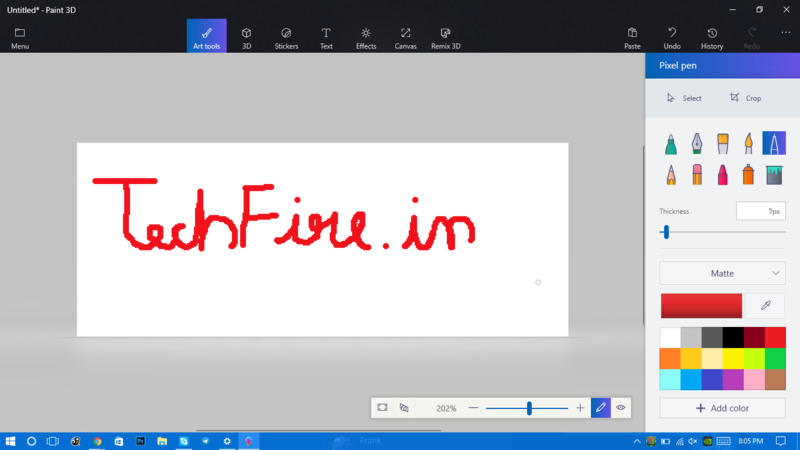 At first, Paint.Net was created with the aim of being simply a free version of Paint. However, over the years it has been growing and receiving features that have ended up becoming one of the most powerful tools to draw. Like GIMP, it can be used to edit photos or make compositions of more complex drawings. We can also find Internet plugins to add new effects or support to work with more types of files. The duel for the program with the easiest and easy to understand interface would be between Paint.Net and the next option we will talk about. The one in question now uses light colors such as GIMP and Paint, but it completely changes the organization of the elements, which is more comfortable when working, but it can scare anyone looking for something that reminds them of Paint. Thanks to the excellent work of optimization we can use it in equipment with very little power. Both GIMP and Paint.Net are really competent programs that can be used as Paint substitutes. The problem they both share is that although their interface is quite simple and does not come to scare as much as Photoshop, it is true that there are people who do not finish clarifying and do not know how to use any of the previous programs even for things basic. 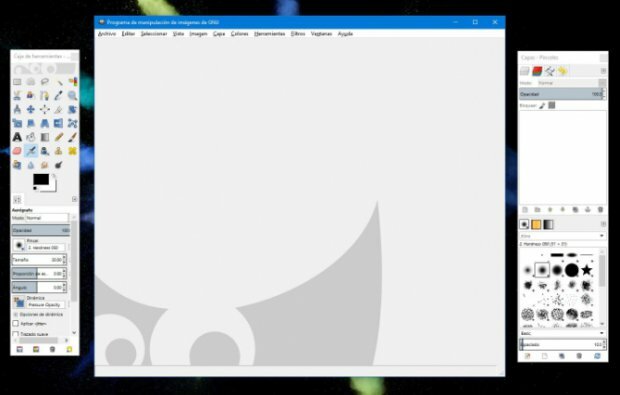 You might be scared to see that the program uses dark tones instead of white as the rest of your interface. 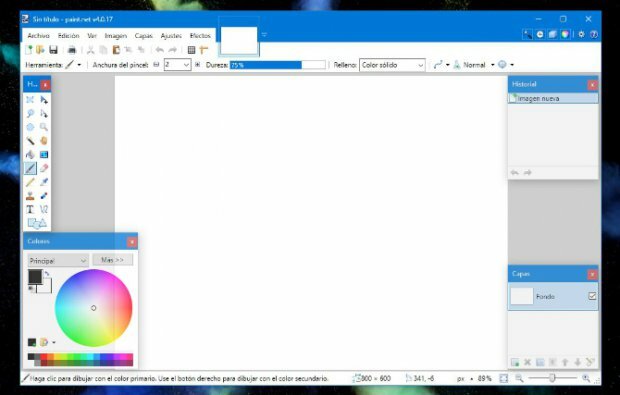 Do not worry, as you will have no problem learning how to use MyPaint because all the basic tools can be found in the top bar. So why should I use MyPaint instead of Paint? As I said, the key is in the extra features it offers, such as having an extensive collection of brushes, pencils or inks. Besides offering an option that facilitates much more the choice of the color that you want and of having an infinite canvas on which to draw without limits.